This morning… the day after Christmas, I sit here in my favorite room of the house enjoying a chai latte and reflecting on yesterday. 4 kids, 2 dogs, and 4 cats usually take over the entire house! But I have one room that is mine…. they are all welcome in it, but they know it’s my sanctuary. It’s the place I come to write, pray and enjoy my morning coffee. It has a comfy red sectional, all of my favorite furniture, and a gorgeous view of our orchards. And most importantly it’s quiet! This was our first Christmas back here at the farm in 4 years.. we’ve been in San Clemente building our business and have spent the past few Christmases there… a So Cal Christmas is pretty hard to beat… the weather always cooperates and we can usually spend Christmas afternoon at the beach, we had wonderful neighbors who bring all kinds of yummy baked treats or great wine to your door, no family drama to deal with 😉, great friends filling our home and celebrating with us… but this year we decided to spend it here since we’re up here taking care of things around the farm. Although I missed So Cal, I can honestly say this was the best Christmas we’ve ever had! In fact, we were enjoying the moment of opening gifts so much that we forgot to take pictures… I think I have pics of the kids opening gifts every year except this one. We just savored the morning filled with joy, peace, and love. It has been a challenging year and we just wanted to spend Christmas quietly together with no drama… no conflicts. 2015 began for us with a move from Southern California back up to Northern California (to our farm) and as soon as we got here, Steve’s dad became sick and unexpectedly died in April. Because neither of us have ever lost a parent, we had no idea just how hard it would be… how emotional and especially how deep the grief would be. Thank God for eternal hope, knowing that we will see his dad again one day and that for now, he is in the great cloud of witnesses cheering us on! What comfort. We also went through a very horrible church split (up here in Northern California) and an extremely painful close family split. It has definitely been one of the hardest years of our married life. Although looking back on it… isn’t hindsight a wonderful gift…. God’s grace was so abundantly supplied to us. He took our hands and hearts and led us through all of it. I was re-reading my blog from last year around this time (2015….will be a good year) and truly 2015 was a year of “grace upon grace, spiritual blessing upon spiritual blessing, even favor upon favor, and gifts heaped upon gifts”… a year of multiplied grace to us amidst the challenges and hurts. It was also a year of refining… although last year I didn’t realize that was what this year was going to hold for us. We definitely went through a refining process this year… hurts and disappointments being healed, seeds that had been sown over the years by well meaning loved ones being dug up, and over all just unlovely attitudes rising like dross to the top and being scooped off by such a loving Father! 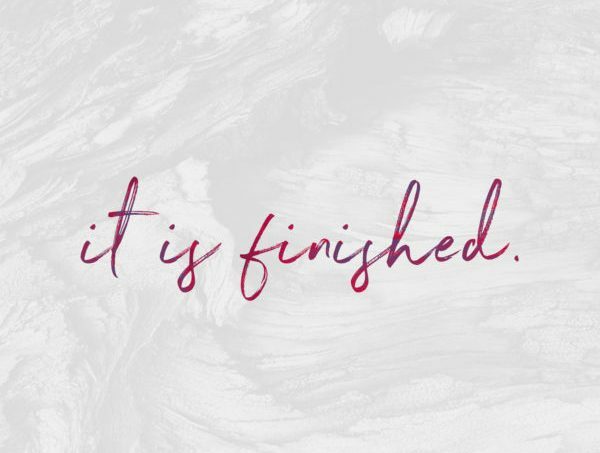 We’ve had to realign and readjust this past month… purposing to position ourselves to further walk out God’s plans for us… letting go of things He is telling us we don’t need and things that will hinder us… and grabbing hold of by faith all that He has promised us. Last month we were on vacation in San Clemente and having dinner with great friends and one of our friends, who is also our pastor in S. Ca, spoke these words over us that He heard God saying… he said he saw God standing with His arms upraised cheering us saying, “Yeah!! You did it… you passed the test”. Ahhhhh we passed the test!! What a great feeling. It wasn’t the test of going through a family death, church split, or family loss. Rather, it was a test of standing still…. trusting Him during the refining process. The test of yielding over to Him the pains and disappointments… the dross that had risen to the top. Allowing Him to mold us this year and to allow Him to lavishly pour out His grace upon us…. breathing His life into us. Holding fast to our confessions of faith of who we are in Him…. even when it looked like things were falling apart all around us. Allowing Him to prepare us for what I believe will be one of the greatest years of our lives. So although I was really just looking forward to getting through Christmas and starting a new year fresh…. one full of new hope and possibilities. God truly gave me exceedingly above and beyond that… this Christmas was in a word “full”. That “fullness” is spilling over into the new year… it’s like a sneak peek at what He has for us. I am so excited for 2016! This week is my favorite time of the entire year. I spend it seeking God and listening to His heartbeat about the coming year. I can’t wait to hear what He has to say this week…..I know it will be good because He is good! I hope everyone reading this had a wonderful Christmas… but if not, don’t lose heart. God has some great things planned for you this coming year … get ready for your best year yet!